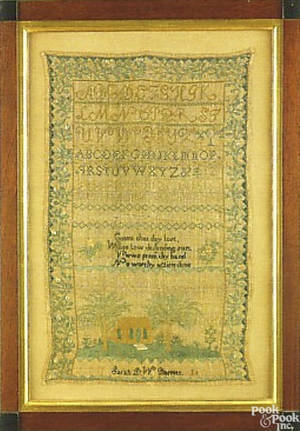 Arco style; two similar floor lamps, ca. 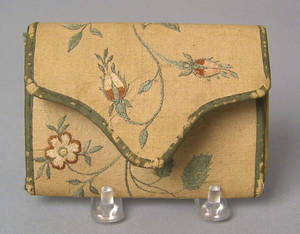 Pennsylvania silk on linen pocketbook wrought by Sarah Mendenhall, late 18th c.
Pennsylvania silk on linen pocketbook wrought by Sarah Mendenhall, late 18th c. , with initials and trailing floral vine, 4 1/2" w. An early written note discussing this pocketbook accompanies the lot. 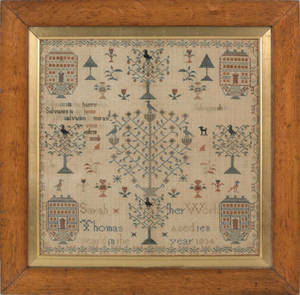 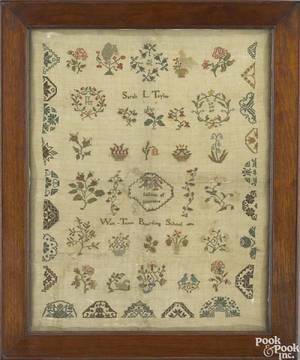 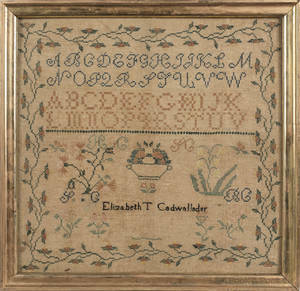 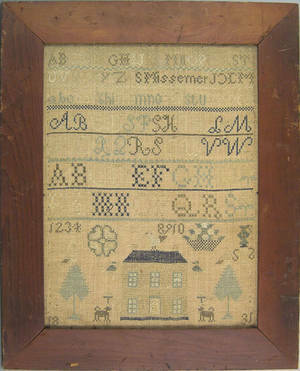 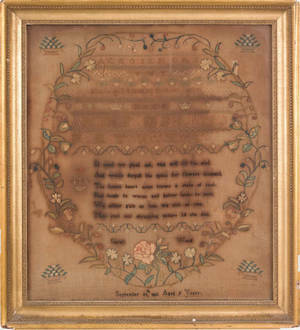 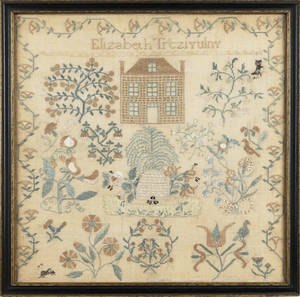 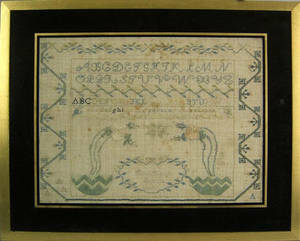 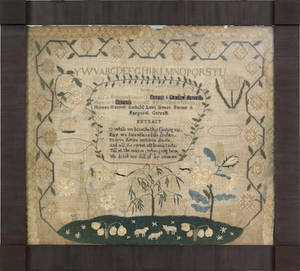 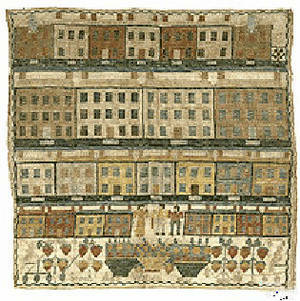 Archived auctions similar to Pennsylvania silk on linen pocketbook wrought by Sarah Mendenhall, late 18th c.
Pennsylvania silk on linen sampler wrought by Sarah D.W. Barrett, early 19th c.
Pennsylvania silk on linen sampler wrought by Sarah Smith, 19th c.
Vibrant Pennsylvania silk on linen sampler wrought by "Sarah Ann Watson 1835"
Pennsylvania silk on gauze needlework wrought by "Sarah L. Taylor West-Town Boarding School 1804"